To this great winegrowing region in Greece count the peninsula Attica (with the provincial capital of Athens), the northern region of Boötien (Viotia or Vöotia) and the second largest with 3,865 km ² Greek island Euböa. 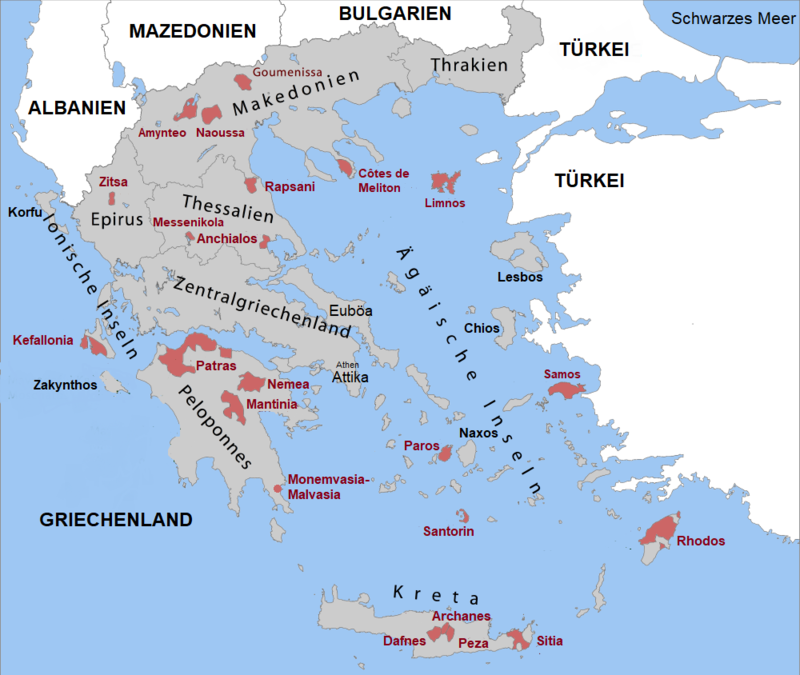 Central Greece produces around one third of Greek wine. Due to the warm and dry climate, there is no great variety of varieties compared to the other Greek wine regions. The main grape varieties are Savatiano and Roditis, Here is the area and home of the famous Harz wine Retsina, It is also usual, fresh grape to deliver to the restaurants and inns that make their own retsina out of it. In addition, large quantities of light white, rosé and red wines are produced. But there are none as POP (Quality wine), but only as PGE (Landwein) classified areas. This page was last modified at 14 February 2018 at 14:37.